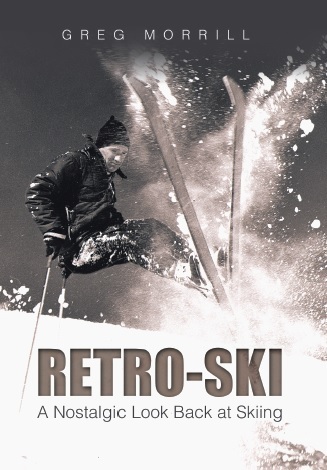 I started skiing in the 1950s which meant I started on wooden skis. I’ve written about Northland skis and how Northland became the largest ski maker in the world. Their hickory skis combined relatively good performance and durability for a reasonable price. But they weren’t the “racers’ choice” as far as wooden skis. In the 1950s the most sought-after ski for racing was the Kästle. Anton Kästle was an Austrian woodworker who started making skis in 1924. During World War II Kästle provided skis for the German army, building up a production capability. After the war, Anton Kästle became intrigued with the emerging sport of alpine ski-racing. His goal was to make the best racing skis in the world. Kästle’s success in achieving that goal was due to a fortuitous combination of the materials he had to work with and evolving ski techniques. By the 1950s, the wedeln technique caught on with racers allowing them to make quicker and more controlled turns. Slalom courses became tighter and more challenging; Giant Slalom was added as an event at the 1950 World Championships. The technique and courses demanded a softer, responsive ski to give the performance racers were seeking. At that time most wooden skis were made of hickory, but in post-war Europe the only hickory available had to be imported from the United States, an expensive proposition. To reduce the cost, Kästle used an ash core which produced a lighter, softer ski – just what the racers wanted! The skis were more fragile than their hickory competition, but racing success overcame any durability concerns. Kästle skis helped fuel the success of the Austrian ski team during the 1950s. Othmar Schneider, Anderl Molterer, and Toni Sailer all skied on Kästles. Sailer won his three gold medals at the 1956 Olympics on Kästles. 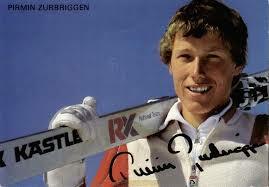 But even more impressive was Sailer’s string of 25 consecutive GS wins, all on Kästles! Austrians weren’t the only ones to benefit from the Kästles’ performance. Andrea Mead Lawrence won her gold medals at the 1952 Olympics on her Kästles. By 1956 the entire American ski team was on Kästles including names like Buddy Werner, Tom Corcoran, and Brooks Dodge. Billy Kidd skied on Kästles and in fact, won his 1964 Olympic slalom silver medal using wooden Kästles! Historically this figures as the last major ski race won on a pair of wooden skis. Those skis now reside in the Colorado Ski Museum located at Vail. Unlike Northland, Kästle would successfully make the transition from wooden skis to the modern combinations of wood, metal, and fiberglass. In 1966 Kästle introduced the first of its CPM (Compound-Plastic-Metal) series. In 1968 Anton Kästle retired and sold the company to Josef Fischer of Fischer skis. 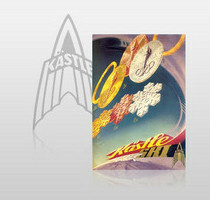 Kästle skis became a subsidiary of Fischer. From the 1970s through the 1980s, Kästle continued to have racing success featuring World Cup winners Andreas Wenzel and Pirmin Zurbriggen. During that same time period Kästle’s recreational CPM line became very popular and still often shows up in people’s “favorite ski” lists. 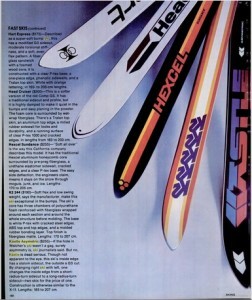 Kästle did produce a couple of short-lived ski models. One of those was the “Klack”, a metal ski with magnets embedded in each ski. The idea was that you wouldn’t need straps to keep your skis together when you were carrying or transporting them. Just get the bottoms close together and “Klack”, the magnets would hold them tight. I’m not sure how well that worked, but they weren’t around long! Then there was the “Asymetric”. Yes, I know that’s not how you spell asymmetric, but maybe it is in Austrian. Each ski had one slalom-cut edge and one GS-cut edge. Put the slalom edges on the inside and you had a slalom ski; swap feet and you had a GS ski. I did get a chance to demo a pair of these and I couldn’t really tell the difference. But that was in 1976 and I wasn’t quite as good a technical skier as I am now. However I don’t believe the model was continued the next season so maybe my opinion was correct. Forgot to mention thee Kastle skiis in my last message. I picked 2 free pairs at the factory in ’56 and raced on them 2 years; great ski. There are some things to correct/comment on. First, you should not/don´t have to repeat the nonsense of Sailer´s 3 golds at 1956 Olympics on Kastle skis maybe because the Guru Masia wrote that in 2002 (The Last Great Wooden Race Ski – sad but true, Mr. Guru is sometimes, not just here, wrong). I thought it was generally known Toni used Kneissls for DH and there´s also the „ski urban story“ about Franz Kneissl having warned Toni „the Amateur“ to publish his endorsements by Kastle (which old IOC boss Avery Brundage would have loved to punish accordingly) unless he does something for Kneissl. Which he did in DH. Second, the 60s were not so easygoing for Kastle. The old man, born 1904, a woodworker, had too long insisted in and trusted wood. The 1964 Olympics awarded him with those SL medals but otherwise DH and GS were out of his reach by then. (He lost great racers-downhillers like Schranz and Zimmermann and many more. (Sorry, Kidd and Heuga may have been a blessing for American skiing and heroes there but in the race circuit just pawns beside those two. Egon Zimmermann was the hero back then in Europe, and his Fischer Alu steel.) Kästle tried to retain racers and rushed to catch up. In the era when both metal and fiberglass skis were successfull he rather desperately tried to make the best use of both worlds. Not a bad idea but not an easy one for a wood expert just learning to bond three different materials together in the hard way under the competition and financial pressure. While still believing in „People just want the winner skis“ and not really ready to reduce his racing budget. That´s what broke his neck. “Successfully make the transition from wooden skis to the modern combinations of wood, metal, and fiberglass” wouldn´t have ended up in a takeover by the competitor Fischer because Kästle was near broke. Unlike Rohrmoser in the 90s not the worst of scenarios but definitely not so idyllic as you mention. Later, when Fischer himself fought to survive with Japanese funding, the worse happened with Benetton taking over. Thank God Kastle had, at least in Austria, such a cult following that Austrian enterpreneurs (after a short try by a group of Italian businessmen) eager to invest their (KTM) money revived the brand in a 21 century way. Old farts will remember the old logo and those Snow Kings, Princes and CPMs (the more so if the binding screws in a CPM let you go into the trees in a DH training like me – young soft trees and a young guy, no harm done to people, animals, vegetation during the crash) and be glad you made your contribution. There´s a lot of fascinating ski gear stories. Unfortunately, old sources and actors get lost and the topic seems to be of little interest to serious knowledgeable historians. You Americans seem to care more than we in Europe do – definitely a shame because Europe had the main share and should lead the research. The history of modern (Alpine) skiing dates back no more than 60 years and the last first-generation insiders are leaving. When they are gone, the invaluable source is lost. Paper will win and Masia´s “Sailer winning on Kastles” will become The Truth cited in academic papers and hence The History. Sorry to expand the Kastle topic that far. I´m concerned.